When Hublot announced its partnership with French contemporary artist Richard Orlinski back in 2017, I guess you could say I was intrigued. Until then, I hadn’t heard of Orlinski or his Pop Art-style beasts. But after seeing his brightly coloured “Wild Kong” gorilla sculpture, with its multiple diamond-like facets, I knew that a Hublot and Orlinski partnership would be a match made in heaven. 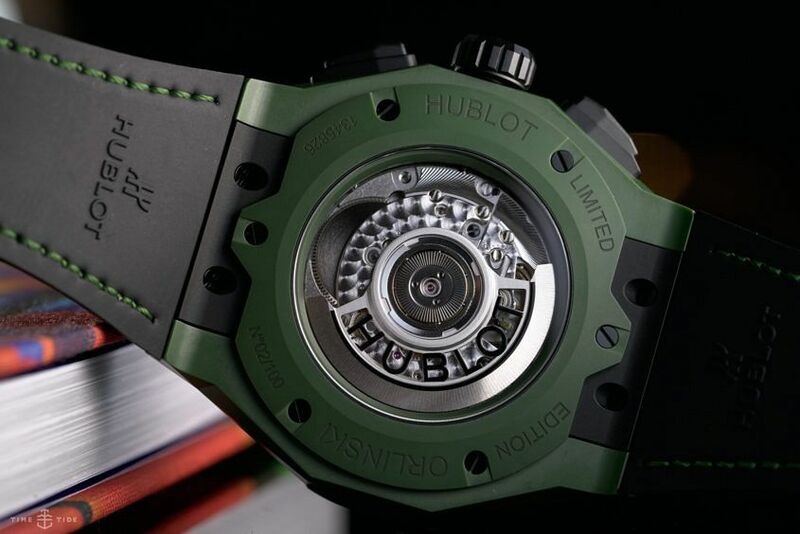 And it seems the rest of the world thought so too, because following the success of what is now a full-blown collection, Hublot and Richard Orlinski have teamed up once again. This time Orlinski’s trademark multiple facets have gone green. 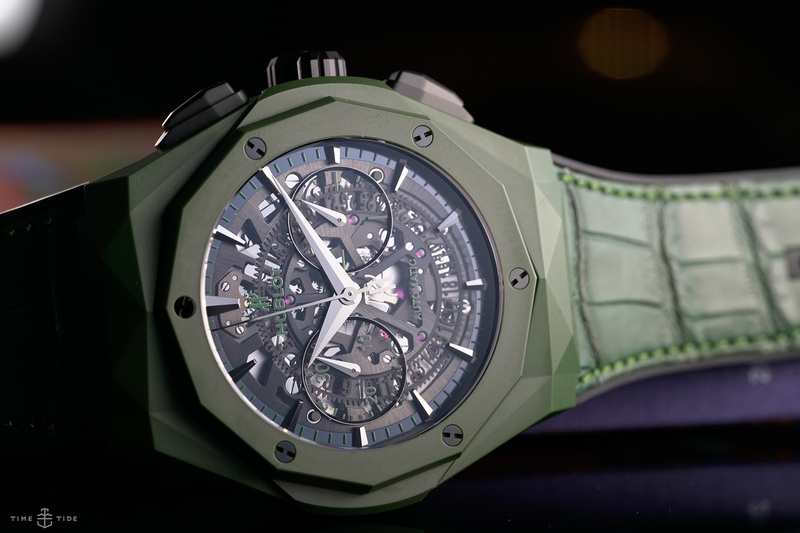 With the 12 facets of the 45mm case and bezel of the Hublot Classic Fusion Aerofusion Chronograph Orlinski now crafted in microblasted green ceramic, and created by the French artist using a three-dimensional cambering technique. The green ceramic is rich and dark, not as vibrant as red and blue versions. Like most other models in the Hublot Orlinski collection, visible through the display caseback is the HUB1155 skeleton self-winding chronograph movement, with a Hublot signed rotor maintaining a 42-hour power reserve. 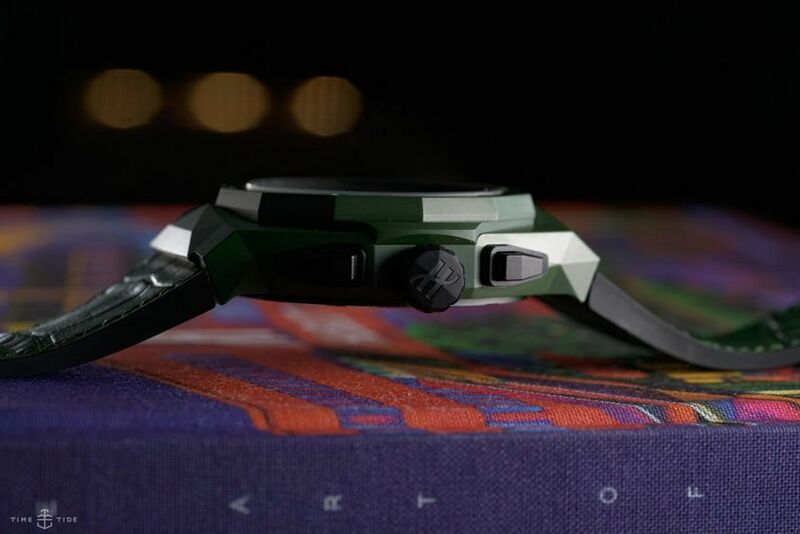 And a black, smooth rubber strap holds it to the wrist. This latest Hublot and Richard Orlinski collaboration continues a successful trend. One that doesn’t just produce watches, but pieces of art for your wrist.